Super easy to set up the voice-controlled universal remote. Includes an Echo already built in. Voice controls work great most of the time. May not work correctly with some home theater equipment. Voice volume controls are a joke. What happens when you put an Echo Dot, a Fire TV, and a universal remote in a blender? Figuratively, you get what’s called the Fire TV Cube, and Amazon hopes it will take over your home entertainment system. 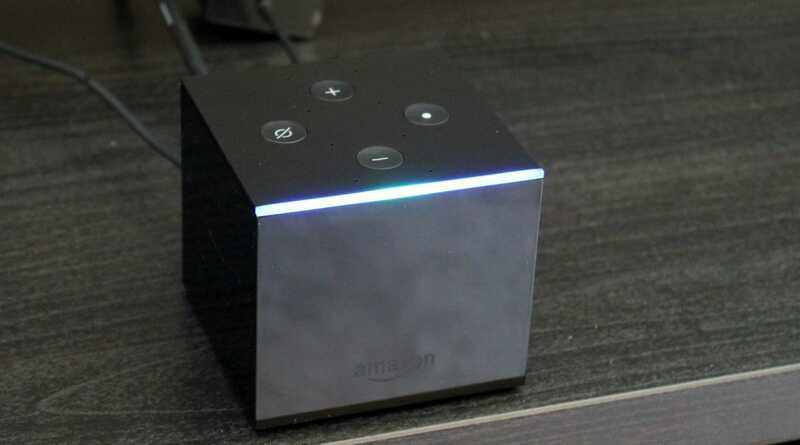 While “Alexa” or “Echo” is nowhere in the name, it’s quite a big feature of the new Fire TV Cube ($119). 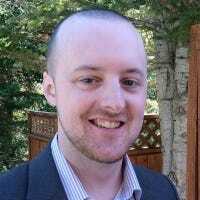 You can use voice commands to turn your TV on and off, as well as adjust volume, change channels, and obviously tell the Fire TV to play whatever video content you desire. It’s pretty much a voice-activated universal remote on steroids. When it come to universal remotes, they’re not really the easiest in the world to set up, and that goes doubly for Logitech’s Harmony series of remotes, which are arguably the most popular universal remotes you can buy. 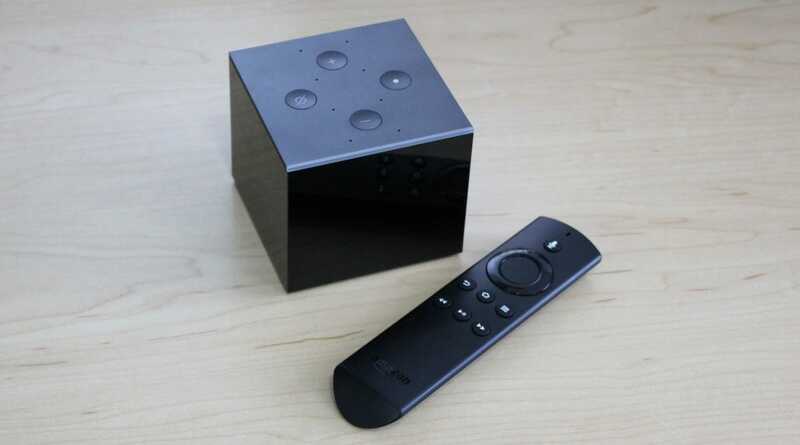 However, getting the Fire TV Cube set up to control all your home theater devices is incredibly simple and easy. It will first use its IR blaster to collect some information about your various home theater devices. From there, you’ll set up each device one-by-one. The Cube attempts to do most of the work so that you’ll hopefully only have to enter in the manufacturer of your devices. For me, it was able to easily identify my TV after I gave it the brand name, and that was that. For my stereo speaker system that I have connected to the TV, it took just a tad bit more work on my part. I had to teach the Cube the various buttons on my speaker system’s remote, since it wasn’t able to identify the system itself. It’s a last-resort step that the Cube falls back on if everything else fails, but even that process took less than 30 seconds. After setting up each device, the Cube will do a trial run and turn on/off the device in order to confirm that it actually works. If not, it’ll go back and try some more steps. I was pleasantly surprised by how automated most of the process was. Once up and running, you can use nothing but your voice to do pretty much whatever you want, but the included remote is a good supplement for those times when voice navigation is a bit clumsy, like during times when you just want to browse (Alexa, go right. Alexa, go right. Alexa, go down). Plus, you can use the built-in Echo for more than just controlling your TV. It also acts as a normal Echo for getting the weather, checking sports scores, playing music, controlling smarthome devices, and more. 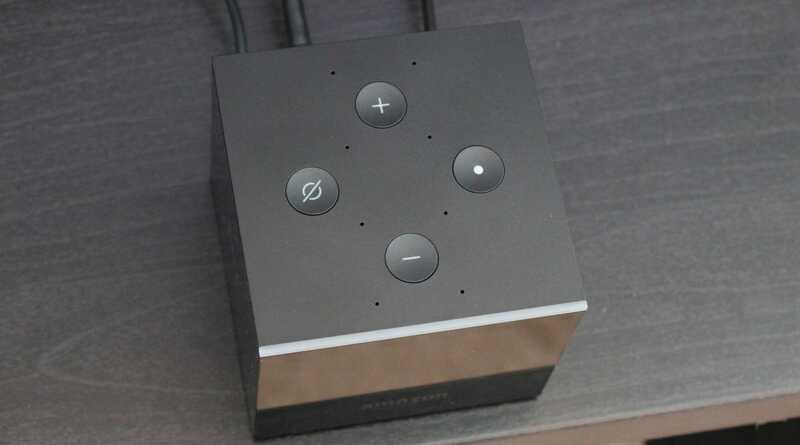 The nice thing there is that the sound automatically gets piped to your home theater speakers whenever they’re on, but the Cube also has internal speakers for when your home theater system isn’t in use. Look, the Fire TV Cube is a really great product, but there are a couple of areas where Amazon swung for the fences and ended up completely missing. One huge gripe I have hinges on voice control of the volume— it’s not intuitive at all. Telling Alexa to “turn the volume up” raises the volume by a certain increment, and that increment can be adjusted in the settings, which is nice. The problem is that you can’t be specific and tell Alexa to “turn the volume to 7” or “raise the volume by 2 increments”. Instead, you just have to keep telling her to raise or lower the volume over and over again until you get to the desired level. To make matters worse, the remote that comes with the Cube doesn’t have any volume buttons. So unless you’re willing to go digging for the original remote for your television, you’ll have to deal with telling Alexa to adjust the volume. Also, it’s possible that some of your home theater devices may not work perfectly with the Cube. And on top of that, IR blasters in general can be finicky devices. As an example, the Cube turns on and off my TV without a problem. However, it does this thing with my speaker system where it turns it on perfectly, and then immediately turns it off. Who the hell knows why, other than the possibility of it not being 100% compatible. Continuing on from the previous section, another big downside to the Cube is in its name: It uses Fire TV. Not to say that Fire TV is complete trash, but pretty much every other streaming set-top box on the market is better in every way. They all come with better user interfaces, and not to mention that you can get access to YouTube on other boxes. The good news, however, is that you don’t have to use the Fire TV portion of the Cube in order to take advantage of its other features. You can still use it as a regular Echo, as well as a voice-activated universal remote to turn your home theater devices on and off—basically, you can use the Cube to control your TV and speakers, but still use your Apple TV, Roku, or whatever your preferred streaming box is. Obviously, by doing this, you won’t be able to use commands like “Alexa, play The Office” or “Alexa, open Netflix”, but I’d say that’s a fair trade off. 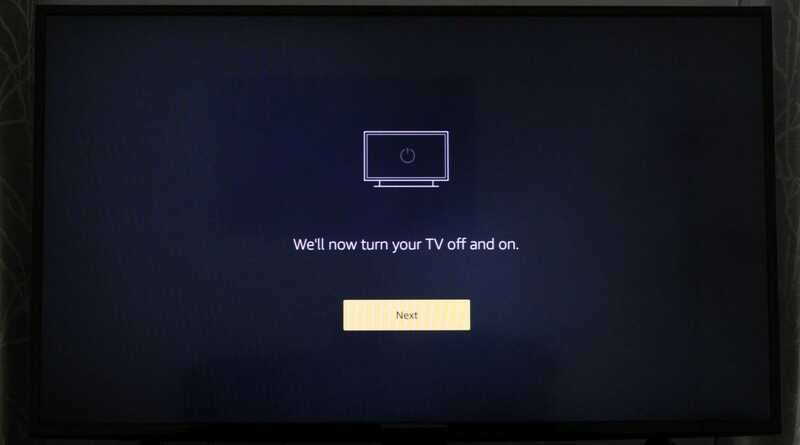 Okay, maybe that’s not saying much, because all I really want is a way to turn my TV on and off with my voice, and Logitech’s Harmony Hub and an Echo Dot have been able to do that perfectly. But the Fire TV Cube is way easier to set up than the Harmony Hub, and it’s the same price you’d pay for a Harmony Hub/Echo Dot combo, which makes it a great buy for anyone not wanting to hassle with a complicated setup. Plus, the fact that you can still use it without having to deal with the Fire TV part makes it worth buying. A lot of companies want you to stick with their ecosystem and nothing else. 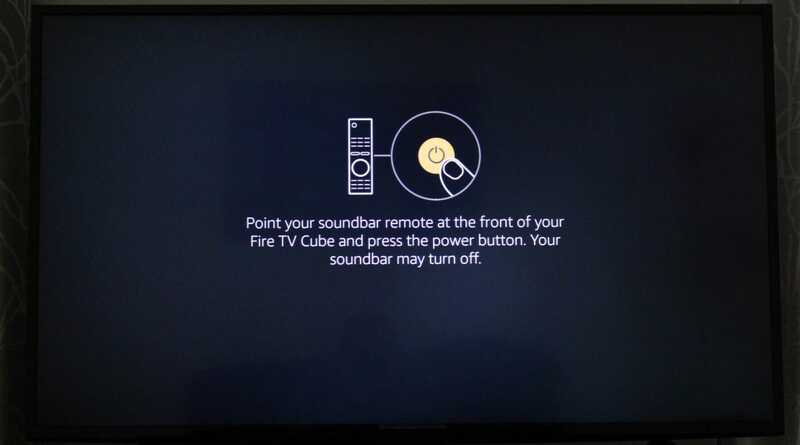 So if I was required to use Fire TV in order to use the Fire TV Cube at all, I’d probably pass on it. Luckily, that’s not the case. So even if I just use it as an Echo and a simple voice-activated universal remote for my home theater, it’s still worth the $120 price tag, because a Harmony Hub and an Echo Dot would cost about the same—and a Fire TV thrown in for free certainly doesn’t hurt.